Now that Anthony Davis has requested a trade away from the New Orleans Pelicans, the league is buzzing where the five-time All-Star wants to go next. Of course, the biggest team being touted at the moment is the Los Angeles Lakers. 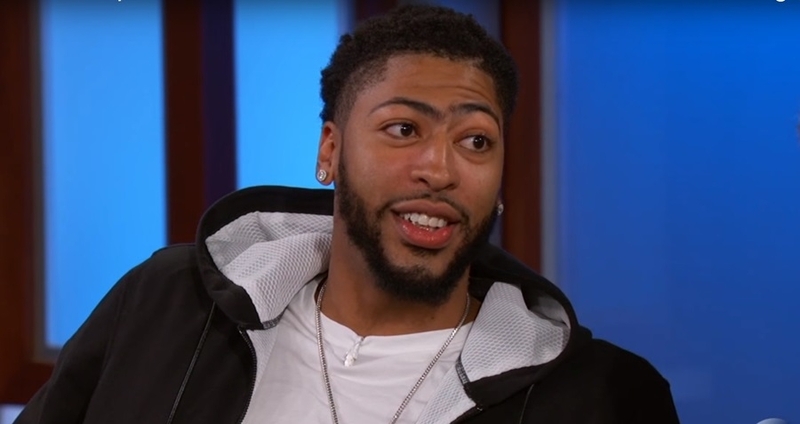 It’s been heavily speculated for months that Anthony Davis is interested in wearing purple and hold. There are multiple factors supporting this claim and one of them is Rich Paul, the 25-year-old’s agent. Paul is handling multiple talents at the moment and Lebron James is one of them, according to Bleacher Report. It’s believed that Paul may have a hand in Anthony Davis’ decision although this hasn’t been proven to be a fact. Following the announcement, Davis was fined by the NBA $50,000 for violating the rule of publicly requesting trades, ESPN reported. With this decision, the promising young star has opted out of a $240 million supermax deal from his current team. This isn’t surprising since Anthony Davis has time and again said that he values his legacy more than he values making money. And with Lebron James voicing his interest that he wants to play with Davis, this Lakers speculation is slowly transitioning to reality. Another narrative that’s supporting the Lakers transfer is the rumor claiming that the forward/center previously had dinner with James to talk about a potential trade. With all these on the table, the chances of Anthony Davis landing with the Lakers is becoming more and more promising. For their part, the New Orleans Pelicans recently won against the Houston Rockets despite being shorthanded. The Pelicans pulled an upset and defeated the Rockets 121-116 without the help of Anthony Davis. Davis’ absent is due to him suffering a fracture on his left index finger but the superstar is slated to return soon. As for the trade package that is being put together by the Lakers, it’s speculated that the young cores will be offered to the Pelicans in exchange for Anthony Davis. A few weeks ago, sports journalist Chris Sheridan said that the Lakers could potentially proffer Brandon Ingram, Michael Beasley, Kentavious Caldwell-Pope, and a first-round draft pick. For now, however, time will only tell if these speculations hold true.